The Harbor BusinessSource Center helped entrepreneurs Vanessa Ballesteros and Elisa Gomez secure a $149,500 loan to expand Sunbox, a healthy kiosk market that features organic, all natural and locally sourced food, snacks and beverages. 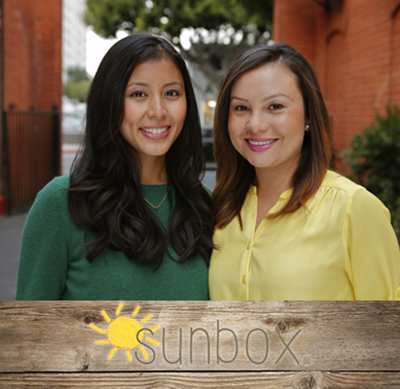 Vanessa and Elisa launched Sunbox, Inc in 2015. The following year, they visited a local bank for a loan to expand their business, but were denied because their business was relatively new. The banker referred them to a non-bank SBA lender to see if they could qualify for a loan through their Community Advantage program, where they met Richard Pallay. Although a deal could not be approved at that time, Richard worked with Vanessa and Elisa to put together a plan for how to present the business in the best light to lenders and hopefully qualify in the future. When Richard was hired as Director for the City of LA’s BusinessSource program, he put Vanessa and Elisa in touch with a business consultant at the Harbor BusinessSource Center to revisit loan opportunities. The consultant guided the owners through the process, provided info about what lenders look for when assessing a borrower, and helped them overcome the potential pitfalls many young businesses face when applying for a loan. The consultant worked with Vanessa and Elisa to put together a new loan package. 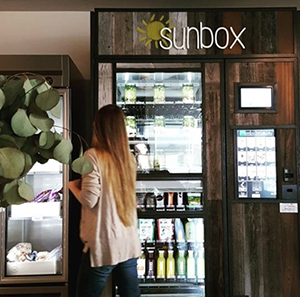 The entrepreneurs were approved for a $149,500 loan, providing capital that allowed Sunbox to purchase seven new Sunbox Market Vending machines, which will create about 10 new jobs.